Is there any update on the new ball joints? 2006 QC SB 4x4 - Tuned, Fueled, Suspended.... R.I.P. Going by their Instagram page the joints are done now. Going onto local test trucks to check for any issues before being released. As long as I know they’re coming, I can wait for perfection. Good news! Who goes through 2.5 years of torture testing before releasing a product? Yup, we do. Installing in 10 local trucks to confirm fitment across the board and you should see a product release within 2-3 weeks! Holy crap did the space rover finally get back from Neptune with the new never to be discovered metal alloy? Took you guys long enough given these joints have been in trucks since 2013. All jokes aside, I may be going this route here soon, my 2014 has eaten through three sets of OEM joints before 39K miles. Truck then had a front axle replacement due to pulling issues at 42K and I am at 58-59K now a year after a complete axle replacement (that had new ball joints) and I have play in my passenger side with only 16-17K miles on them and its going back in to the dealer on Friday. Is the price going to be the same as the existing sets you sell? 2014 Crew Cab, Long Bed. 6.7, 4x4, Tradesman. If my calculations are correct, the end of the 3rd week is tomorrow, do you have any update after confirming fitment on local trucks and the formal release? My truck is going to the dealer tomorrow for yet another OEM ball joint, this time for an upper on the passenger side, going in to an axle with only 16-17K on it. They're in production and we're waiting on costing for the last few parts, looks like we're going to make the $800 retail price but i'll confirm when i my operation's manager signs off on it! waiting patiently for these any news on release yet? To everyone out there, don’t buy Carli Suspension ball joints. I bought these and had them installed at a Carli Certified service center in July of 2014. 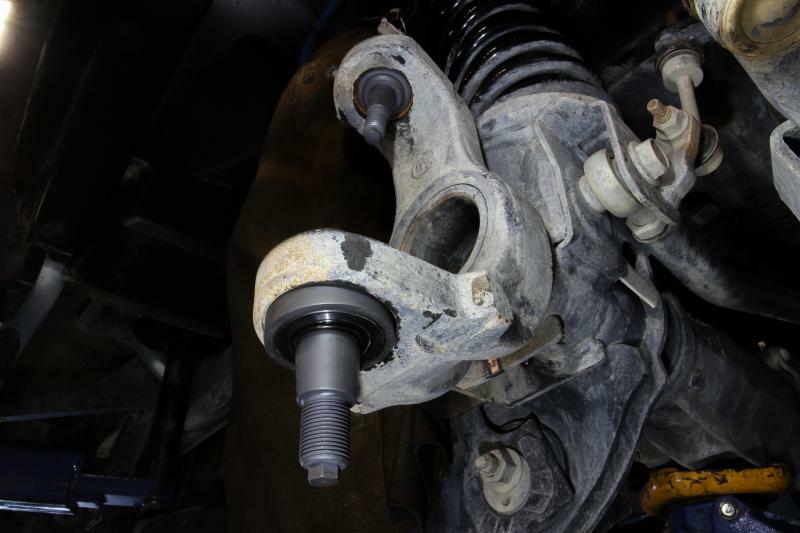 It’s now March of 2019 and the ball joints need to be replaced as they have failed. Carli says they will only warranty the lower ball joints but I have to purchase new upper ball joints as the manager Dan Tourino doesn’t think there’s that big of an issue with the upper ball joints. So Carli charges a lot of money for ball joints they say will be the last ball joints you will ever buy only to try and get out of the warranty when the product fails. My truck only has 32,000 miles on these ball joints and it has been just a little over 4 1/2 years since these were installed. Don’t waste your hard earned money on Carli Suspension products. You can go with moog or the OEM if your going to have to replace them again and again. So my opinion is Carli makes poor products and charges an enormous amount of money for junk!